Andy’s question inspired us to take a closer look at some of the content marketing challenges faced by North American B2B marketers who work at small businesses (companies with 10 – 99 employees), as compared to their peers at enterprise organizations (companies with more than 1,000 employees). We’ll also share some insights on ways content marketers can address these issues — regardless of the size of the organization they work for. In general, both groups are similarly challenged with producing the kind of content that engages — and it is the top challenge for enterprise companies. In a way, I think it’s encouraging to see this as a top challenge, as it shows that marketers are focusing on the value of quality over quantity. And, there is good reason why engaging content matters: Customers and prospects who engage with content are more likely to reach out or initiate a relationship with your organization. Ideas: Engaging content means different things to different people, so you’ll need to start out by determining your organization’s definition of “engagement” — and what metric(s) you can use to measure it. For instance, as Joe Pulizzi discussed in his recent post on the building blocks of content marketing strategy, we at CMI know our email subscribers are more likely than our other readers to sign up for our events, so “email subscriptions” is an engagement metric we focus on. While small businesses cite producing enough content as their top challenge, it’s an issue that concerns the majority of content marketers across all business types that we’ve researched. Reuse content at the beginning and end of the sales funnel: This suggestion applies to any businesses that have a long sales cycle. Curate content: Instead of producing new content, share existing content — created by your organization or by others in your industry. This strategy can be used by businesses of any size. Produce evergreen content: I love Ardath Albee‘s quote from the video above: “I think the reasons that we change subject matters and create new content is because we as marketers get bored. We’ve said it; we’ve heard this before: ‘Let’s create something new.’ We don’t need to.” Again, instead of focusing on pumping out more new content, create a body of evergreen content that you can update, as needed. As a bonus, you may be able to curate content in a way that makes it more useful/gives it new life. Not surprisingly, enterprise organizations are far more challenged with lack of integration across marketing than their small-business counterparts. As more people, products, and geographies become involved — producing integrated content can get pretty complicated. Ideas: Large organizations like SAP, SAS, Kelly Services, and Intel have complex B2B marketing programs. At last year’s Content Marketing World, we had the pleasure of sitting down with key individuals from these teams to talk about how they manage the process of content marketing. There aren’t any shortcuts — and it involves a lot of work — but there are ways to create efficiencies to minimize the burdens. Elizabeth Gaines from SAP talked about how her company has content account managers who are plugged into all of the field marketing teams and geographies. Pam Didner talked about Intel’s editorial planning process. Her team has an editorial calendar that they create a year in advance, and adjust throughout the year, as necessary. She then presents it to the various stakeholders across her organization (even though for her that means presenting that calendar 30 times). Kelly LeVoyer and Waynette Tubbs shared that everyone at SAS contributes to one large plan. They also make sure everyone knows the roles assigned to each team — and what KPIs they are being measured on — which, they have found, helps the content marketing plan come together much more cohesively. Michael Kirsten from Kelly Services says that he spends at least 30 percent of his time on intra- and inter-organizational communication. It may seem surprising that enterprise marketers are more challenged with lack of budget than small businesses are, as they likely have more to spend overall. But, enterprise marketers also likely need to go through more internal channels to get budget approval, which may explain why a larger percentage of them feel this is an issue. Another possible explanation is that lack of budget is just a perceived issue with some enterprise marketers who wished they had more money to work with. In contrast, small business marketers may be more accustomed to having to be resourceful in their content efforts. Ideas: The root cause of budget issues could be lack of buy-in (see point #5, below): If management has not yet bought into the value provided by content marketing, it will be all the more difficult to get the necessary budgetary support. If this is the case, presenting information on return on investment can help justify the costs. Kapost and Eloqua developed an eBook, Content Marketing ROI, that compares the cost of content marketing to PPC; it’s a great read if you are struggling with this issue. The eBook breaks costs down for both midsize and large companies. This is an interesting challenge, as more enterprise marketers find themselves contending with a lack of executive buy-in, yet more small business marketers consider it to be their primary challenge. Really understand – and be able to articulate – the value of content marketing. Do a pilot program and report on key metrics, such as immediate gains (e.g. social followers), social rankings, back-links and leads/sales. Play on fear. What is the competition doing that you are not? What does your management care about most? While a good portion of both small and enterprise marketers are challenged with producing a variety of content, not many consider this to be their biggest challenge. I personally consider this to be a good sign, as marketers should be focusing more of their efforts on producing content that engages, and on achieving measurable results, than on the formats their content is delivered on. Ideas: That said, producing original content takes time, so there is no reason not to create efficiencies by repurposing the content you already have. Check out 5 Great Starting Points for a Content Recycling Program and 23 Ways to Leverage a Blog Post for Content Marketing Success to get more specific ideas on how to reimagine your content across a variety of formats. Ideas: If you are struggling with measurement, take a look at our online how-to guide that walks you through fundamentals and provides specific suggestions on what you should measure. But if you only have time to view one resource, make it the eBook, A Field Guide to the Four Types of Content Marketing Metrics, in which you’ll learn about the best metrics to monitor for consumption, sharing, lead generation, and sales. Approximately one-third of both small-business and enterprise marketers feel they lack the appropriate knowledge, training, and resources to execute content marketing well. Considering that this field is quickly evolving, and there is no silver bullet, this is not surprising. Ideas: I know this is a shameless plug, but if you are in need of training, there is no better event than Content Marketing World, which will be taking place in Cleveland from September 9 – 11. CMI’s entire mission is to provide training and education (through our blog posts, magazine, webinars, and more), so if you have a question about content marketing, I’d love to hear about it. Let me know in the comments, and I’ll see what I can do to help and/or we’ll cover it in a future blog post. While finding trained content marketing professionals is not a key challenge for many marketers, it is still a concern — particularly for enterprise companies. Ideas: Another shameless plug (sorry!) but CMI has a fantastic group of consultants led by Robert Rose that help companies with their content marketing programs. If you are a large organization, you may also want to consider hiring a content marketing agency. If so, see what Joe Pulizzi had to say as he explained the 4 Truths About Content Marketing Agencies, and take a look at Doug Kessler’s advice on how to get the best results with your agency in his post, 4 Truths About Content Marketing Clients. If you have a smaller budget, or are only looking for a single writer for your content, consider hiring a journalist. 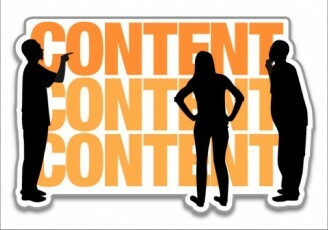 Are there other content marketing challenges you are facing? Or do you have other suggestions for those facing these issues? Let me know in the comments. For more advice and ideas on how to address your greatest content marketing challenges, register to attend Content Marketing World. Early-bird rates are in effect until May 31, 2013.